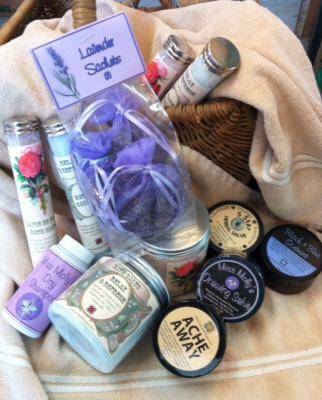 Qualitifed resellers, please contact Lancaster County Soapworks to request a wholesale code or enter code at checkout. We've added a number of new items to our line in the last year or so. Check them out for your shop! As soon as we tried this product we knew it would be a hit - and we were right! A combination of menthol, cayenne, St John's wort, cottonwood buds and arnica, infused in olive and jojoba oils is mixed with essential oils of ginger, eucalyptus, lemon, black pepper and cedar. Everything is brought together with pure beeswax into a wonderful salve which we find helps with aches and pains. All balms and salves are safety sealed in a 2 oz. PET jar. Arnica is said to help with bruising, sprains and strains and is the main ingredient in this ointment. Arnica is infused in a combination of oils, including apricot kernel, avocado, jojoba and vitamin E. Essential oils of peppermint, lavender and black pepper are added and finally mango butter and beeswax are added to firm it up. All salves and balms are safety sealed in a 2 oz. PET jar. For use on poison ivy or oak rash as well as insect bites. Contains sage, jewelweed and plantain in a base of apple cider vinegar to help calm an itch while it dries the rash. "La Vie en Rose," a decadent blend of rose geranium and lemon essential oils in glycerin, mixed into a base of Himalayan pink salt, sea salt, and epsom salt. "Relax & Refresh," for your own R & R, an invigorating combination of lavender, eucalyptus, peppermint and rosemary essential oils in glycerin, mixed into a base of sea salt and epson salt.